They’re in the business of training executives and making better leaders. So when it comes to their own leadership tools, Evanta takes the work seriously. Evanta was on the lookout for a bold, new interactive online learning platform for their digital Academy—and they needed it quickly. Lucky for Evanta, the Daylight team loves a challenge. 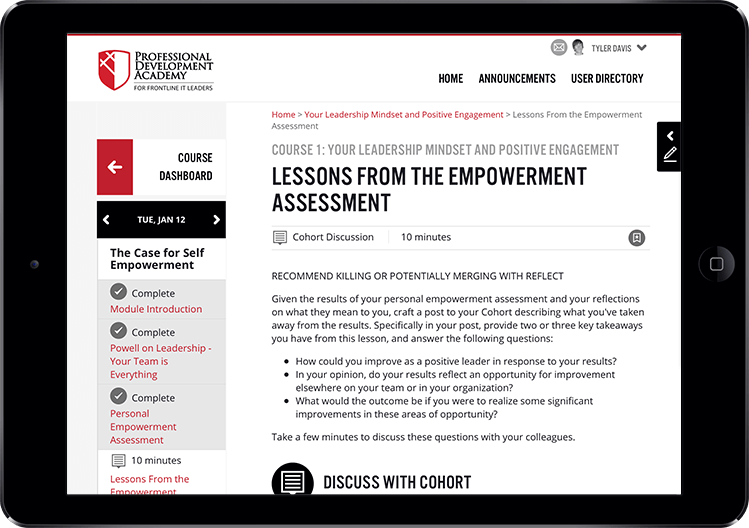 The Evanta Academy is a transformational leadership program, but their existing learning platform didn’t reflect that brand or vision. 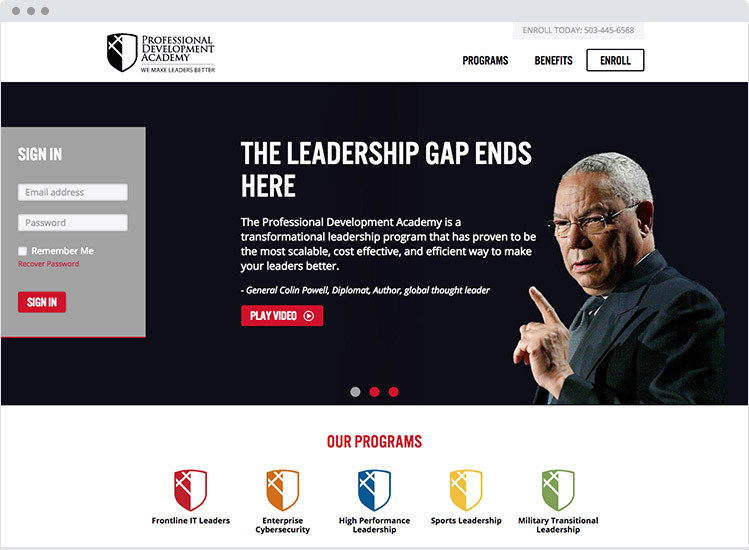 The Academy was using a third party tool, lightly modified. 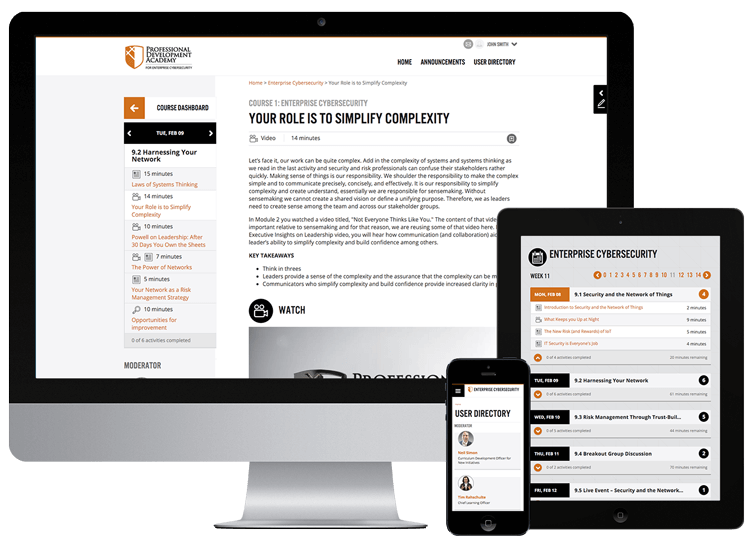 What they needed was a highly customized experience to work seamlessly on phones and tablets. To build it, we collaborated with the client to prioritize features and functionality, filling whites boards and sketch pads with ideas. While building the LMS, we fixated on an Evanta axiom “leadership is action” and established an agile, iterative process. We communicated regularly and delivered results. 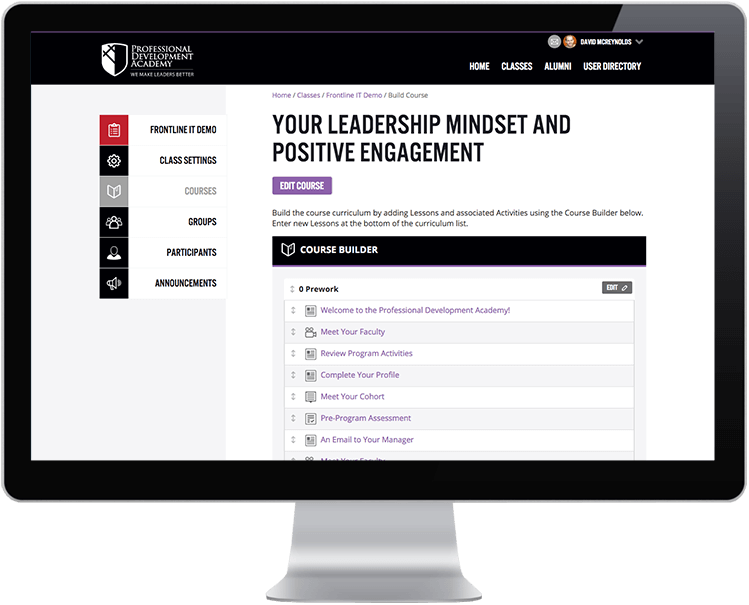 In the first two weeks we established a look and style, designed and developed a marketing website homepage—with login to the LMS—and detailed descriptions of classes and a full registration process for new participants. 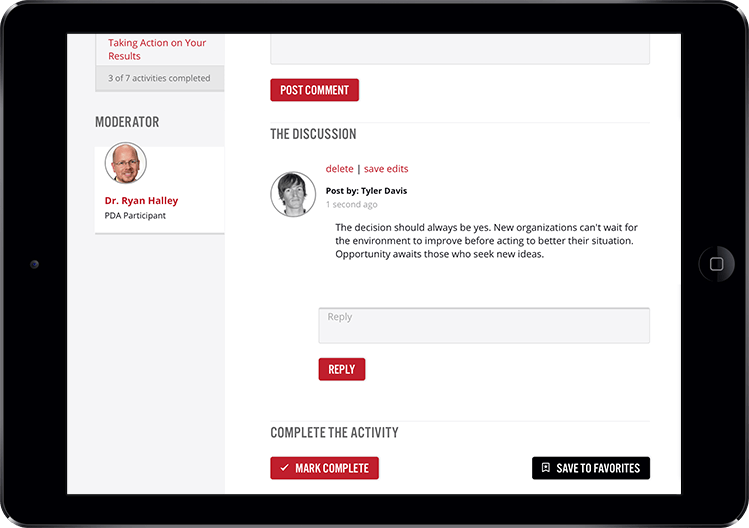 A-type, high-performing leaders—our class participants—required an interface that was as efficient, and cutting-edge as they are. 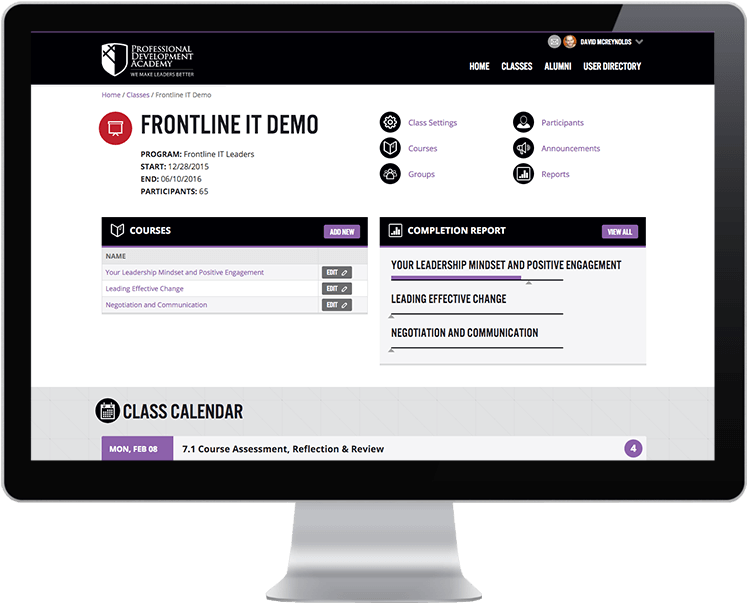 Class participants login to see how they stack up against their cohort and view a comprehensive calendar for quick cues of what's next. Once into their activities, we included user features like bookmarking, note taking, discussions, messaging, videos and an option to stream live events. Once we nailed down the participant’s front-end experience, we concentrated on how to match the magic behind the scenes and give Evanta staff an equally powerful tool for building and maintaining the Academy. The site administrators needed to easily manage and set up classes, build curriculum, monitor class progress and post time-sensitive content. 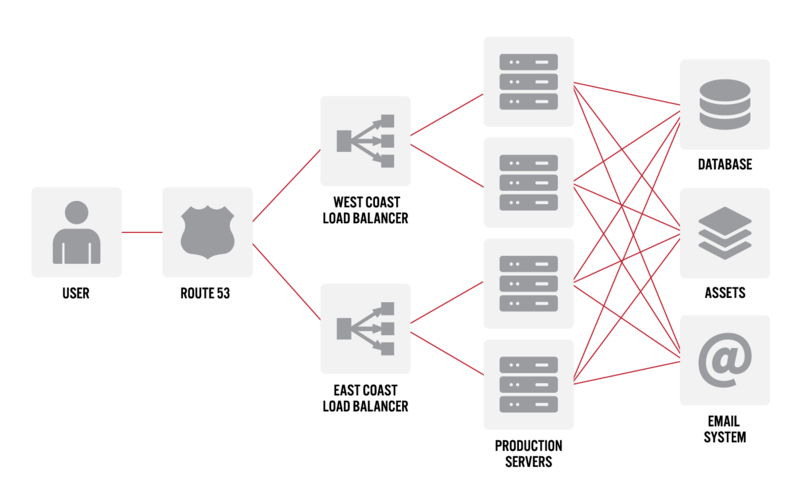 Detail balance allowed site administrators to manage both high-level and fine-grained details. Class Management. Accounted for over 100 participants in classes. 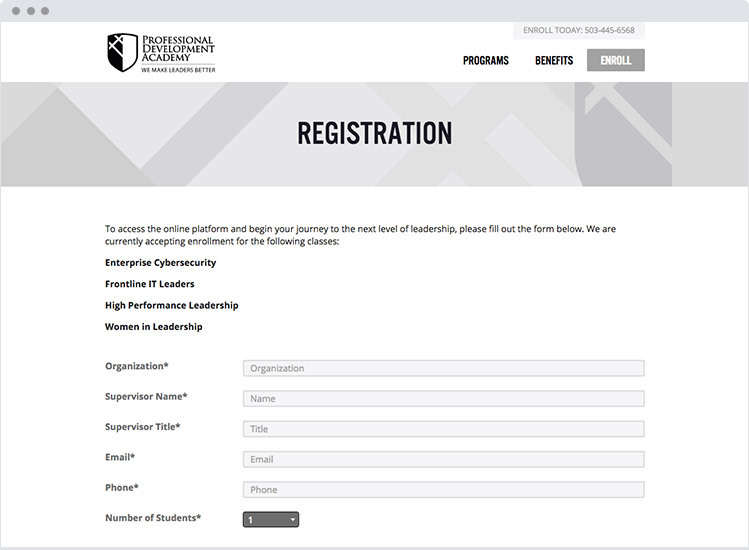 Participant Management furnished a batch uploader for accommodate new participants and to manage and organize participants into groups within a class. Curriculum builder created the content for the participants to complete and populate the course calendar. Pacing set pacing of content for participant so material is gated based on the administrator’s calendar. Announcements featured blog-style posts on the homepage with supporting course content. Notifications built a global notification system so participants quickly learned of maintenance or announcements. 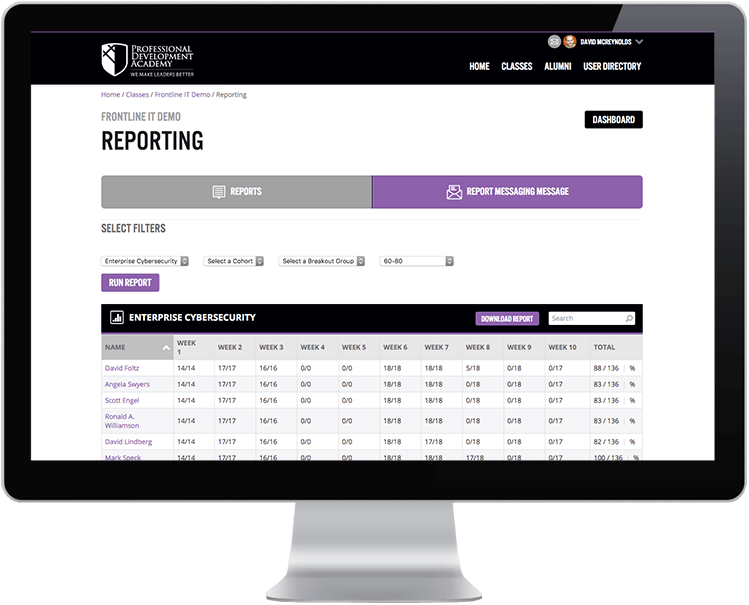 Reporting created a dynamic review tool showing progress of participants in class and included the ability to email participants with auto generated progress reports. For all the front-end design charm and cutting-edge back-end features, the back-end still needed a robust server environment capable of growing with the demands and success of Evanta. 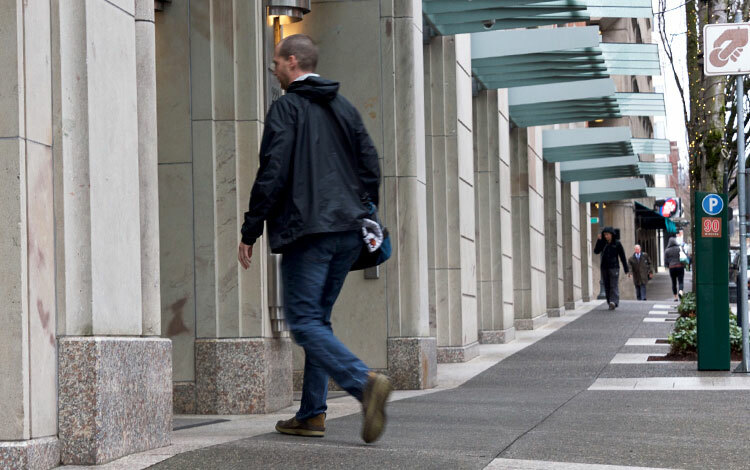 We implemented a whole suite of Amazon Web Services including their EC2 servers, S3 Buckets, Area 54 for DNS, and their RDNS MySQL database servers that give them the flexibility and power to grow with ease. Evanta’s three guiding principles are ‘access, relevance and efficiency.’ We think that, with this project, we graduated with honors. We finished the project on time—and in the rush timeline. 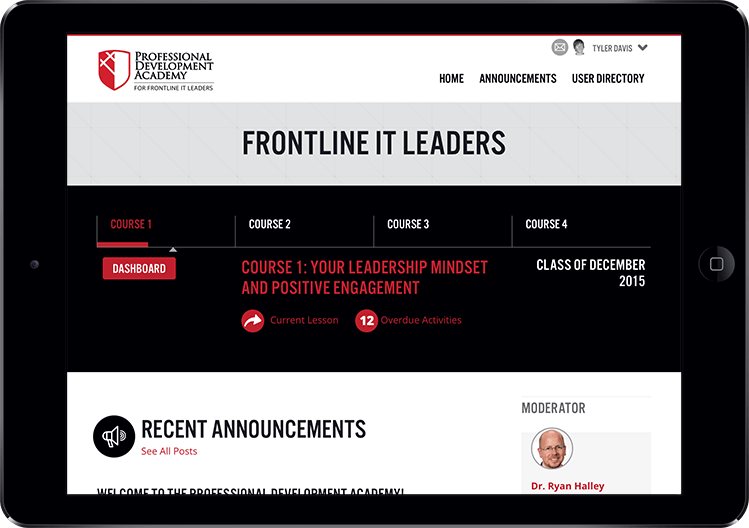 Classes launched successfully, a new alumni section was immediately added and the client was thrilled to finally have a course that aligned with the innovation and fervor of their brand. We have a great new partner in Evanta and they’re a happy customer already armed with ideas for the next phase of the project.